Lawn & Garden Tractor Magazine reached an agreement with Top Shelf Replicas of Ridge Farm, Illinois, to build the first 1/16th-scale miniature lawn and garden tractor, available to subscribers only. The first garden tractor to be manufactured will be a Panzer model T75. There will only be 500 pieces built, and they will be sold on a first-come basis. They are $89.50 plus $15.00 shipping and handling. 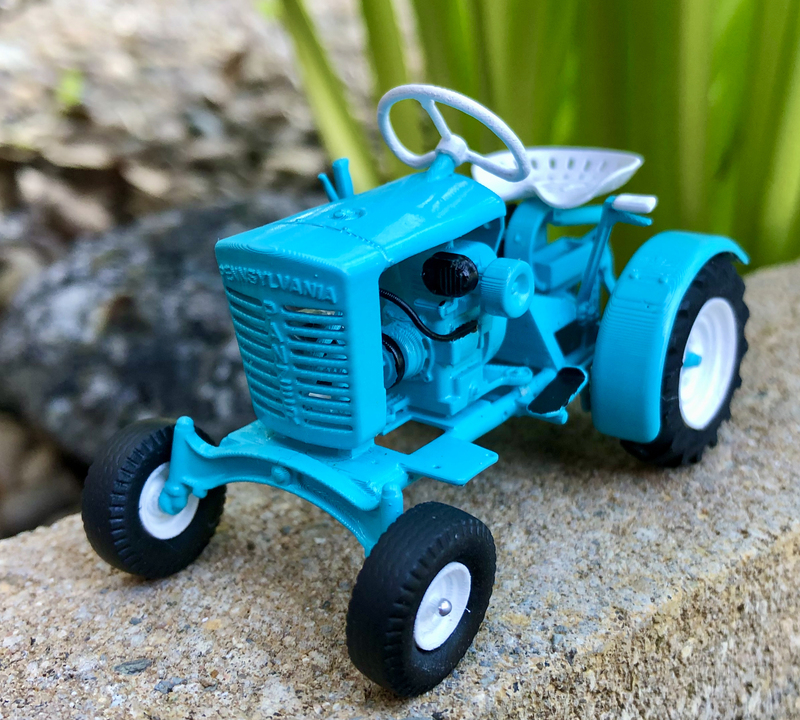 Each subscriber will be allowed to purchase one of these miniature garden tractors; however, a waiting list for more units will be available for the buyer to increase their order, should there be some of the 500 pieces unspoken for. Plans are to build a different miniature garden tractor every two years. The subscribers that purchase from this current build will have first right of refusal on the next series to come out. The detail on this miniature Panzer will be unbelievable. Top Shelf Replicas has built a reputation for making some of the finest and most complete toy tractors in the industry. It will be made of resin and will come in a colorful, professionally printed and manufactured box. The miniature Massey-Ferguson model 1150 tractor and box are shown in the pictures below were produced by Top Shelf Replicas and provide an example of the attention to detail that the buyers of our miniature Panzer can expect. This product is not intended for use as a child's toy. It is recommended for people 14 years and up. To purchase one of these miniature Panzer tractors, go to www.lagtmag.com/miniatures or call 1-812-455-5870. You may also send payment to LAGT Magazine, P.O. Box 605, Mt. Vernon, IN 47620. If you would like to be placed on a waiting list to purchase additional miniature Panzer collectibles, please contact Kate at the number listed above. The photo of the Massey Ferguson tractor represent the toy that Top Shelf created and mailed to us as a sample. Notice the beautiful detail. The pictures of the Panzer tractor represents the actual tractor that Top Shelf will use to model the toy after. This tractor is part of our prized collection.